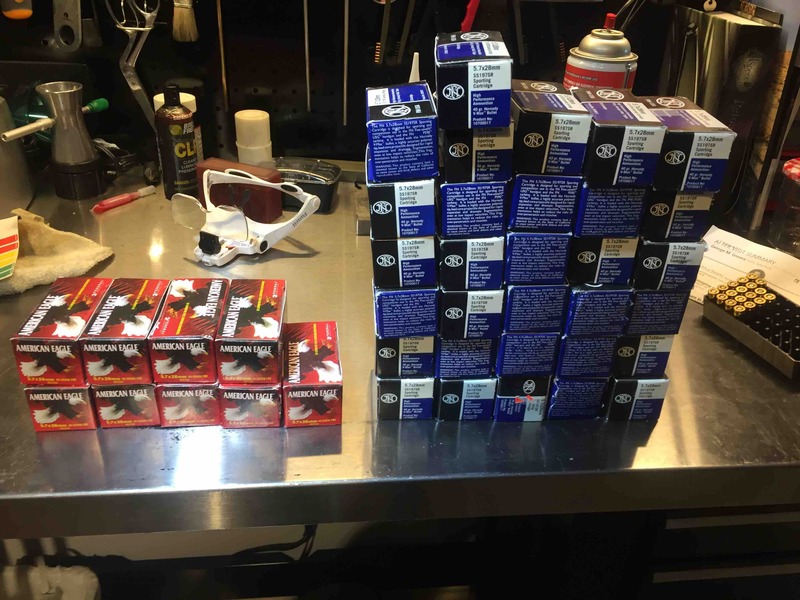 I have 21 boxes of FN 5.7X28 SS197ss ammo and 9 boxes of American Eagle 5.7X28. where are you and where would the meet take place ? Near downtown; Shepherd and Allen Parkway. I may be coming thru the Conroe area Thursday afternoon and could make the trade then. I'll know more in a day or so. If that would work let me know.